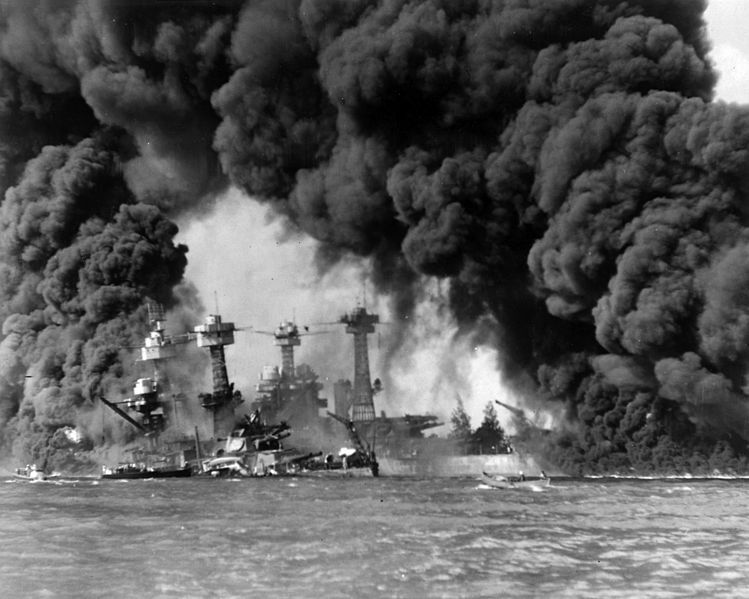 historical event: On this day a large part of the United States Pacific Fleet at Pearl Harbor, at least as far as battleships are concerned, was sunk. What saved the Americans was the fact that aircraft carriers were, accidentally or intentionally, in other locations. In the early morning hours on this day in 1941, Japanese planes attacked the U.S. naval port on the Pacific – Pearl Harbor in Hawaii. This was supposedly done before Japan declared war on the United States. Interestingly, the Japanese commander Admiral Yamamoto wanted the war to be declared at least half an hour before the attack. Indeed, a message of this content was sent to the Japanese Embassy in Washington, but it was not transcribed and delivered to the Americans in time. It is interesting that the Americans intercepted and transcribed this same message themselves, so in a way they were previously informed about the attack. Today there exists a debate among historians whether President Roosevelt was able to guess it would come to the Japanese attack. Some claim that he knew about the attack and that he wanted the disaster to occur so the American public would agree with the entry of the U.S. into World War II. Other historians, however, do not believe that Roosevelt was capable of such an act, especially with regard to the American soldiers killed in the attack. In any case, a large part of the United States Pacific Fleet, at least as far as battleships are concerned, was sunk at Pearl Harbor. What saved the Americans was the fact that aircraft carriers were, accidentally or intentionally, in other locations. It turned out that it was precisely the aircraft carriers which played a key strategic role during World War II.